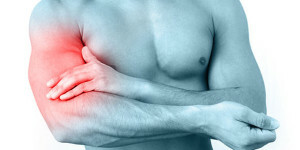 Arm injuries are injuries that affect the forearm, arm, or elbow. The arm contains three bones (ulna, radius, and humerus), along with tendons, muscles, ligaments and bursa. If any of these structures is injured, pain and other symptoms can occur. Tennis elbow is common among tennis players, but also among other athletes who use the elbow frequently, like powerlifters and grapplers. The medical term for tennis elbow is lateral epicondylitis, and it occurs because overuse of the extensor muscles in the forearm. Tennis elbow usually develops slowly over time. Tennis elbow can usually be treated non-surgically. Golfer’s elbow is similar to tennis elbow. 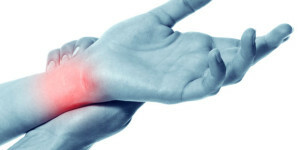 They are both forms of tendinitis that usually occur as a result of overuse in sports players. However, golfer’s elbow occurs on the inside of the elbow, while tennis elbow affects the outside of the elbow. Bones can be fractured at many points in the arm. Severe fractures may require arm surgery to set the bone, while less severe fractures may need only casting and immobilization. Distal humerus fracture – Occurs where the arm bone, or humerus, meets the forearm bone, or ulna, in the elbow. Distal humerus fracture is a severe injury that could lead to arthritis as well as neuro-vascular problems. Olecranon fracture – The olecranon is the bony point of the elbow that you can easily feel when touching the elbow. A blow to the elbow or a fall can cause an olecranon fracture. Radial head fracture – The radius is the smaller bone in the arm. The radial head lies near the elbow, and can be fractured after trauma to the elbow or arm. Distal radial fracture – A fracture that occurs on the part of the radius that is closer to the wrist. The bursa are small, fluid-filled sacs that cushion the elbow and facilitate movement. 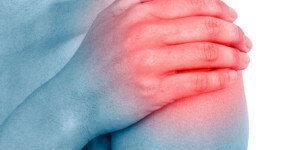 Bursitis refers to inflammation of the bursa. 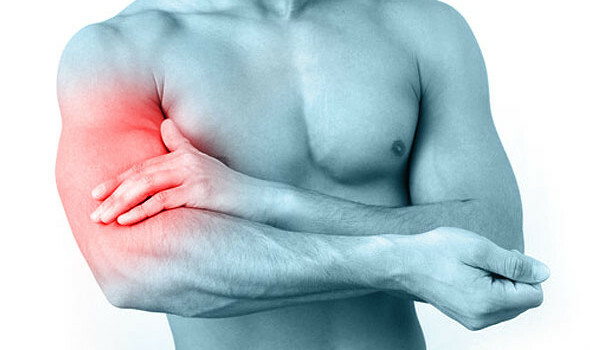 Hitting the elbow is the most common cause of elbow bursitis. Swelling and pain are the most common symptoms. Most cases of elbow bursitis will resolve on their own with rest and ice. In rare cases, the doctor may need to drain the excess fluid from the swollen bursa. The ulnar collateral ligament can stretch or tear due to overuse or trauma. UCL tears are especially common among pitchers. Minor tears may heal on their own within a few days, while moderate tears will often resolve using non-surgical treatments like medication. More severe tears may need arm surgery to restore movement and relieve pain. Minor arm or elbow pain could just indicate bruising or inflammation that will fade on its own. You should see a doctor if you have severe pain or pain that lasts for longer than a few days. In addition, you should see a doctor immediately if you think you may have a broken bone, if you can’t move your elbow, or if the elbow or arm looks deformed. At your appointment, Dr. Marans will look at your arm and perform a physical examination. Diagnostic tests like x-rays will be ordered to confirm the diagnosis and find out how severe the condition is. Based on the results, Dr. Marans will work with you to develop a plan of treatment, which might include conservative methods, arm surgery, or both.